A tailored fit will make you look like you could go straight out for drinks after hitting the slopes in the Burton 2019 men's Southside Mid Fit snowboard pants. 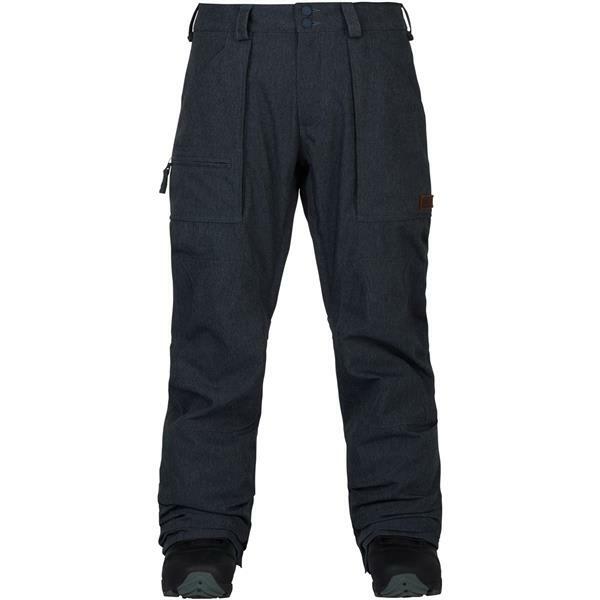 The Southside Mid Fit snow pants have a shoelace drawcord cinch that allows you to have a little street style mixed into your snowboard outfit. The 2019 Southside Mid Fit is a shell snow pant so you can easily layer underneath, even with the mid fit style. The thermo-regulating technology of Living Lining uses your body heat to keep you warm while remaining a breathable snowboarding pant that will keep you comfortable in any weather condition this winter. Mesh-lined venting provides you the ability to cool down fast. Large thigh pockets along with many other zippered pockets give you the ability to hold all the goodies on your runs. Get into the Burton 2019 Southside Mid Fit men's snowboard pants and get on the slopes looking fly every day while staying warm.